New augmented reality tools are finally coming to Google Maps, but regular users will still need to wait to make the most of the new feature. Google ran a demo of how augmented reality tools would work with Maps during Google I/O in May. Now that feature, where giant arrows and details are visible in live views of a street, is about to roll out first to Local Guides, or community reviewers, according to a story in the Wall Street Journal. Anyone who has ever used directions in a mapping app, can pull up a diagram with streets and highways, and a route drawn across. The new AR feature for Google Maps will tap both a smartphone's camera and its mapping tool. As you move, arrows will appear directing you which way to turn next. The feature is not meant, however, to work for the entire time you're traveling. Instead the AR images are designed to be tapped quickly. If you hold the smartphone up to long in the new AR mode, the screen is actually designed to get darker, and the imagery to disappear. 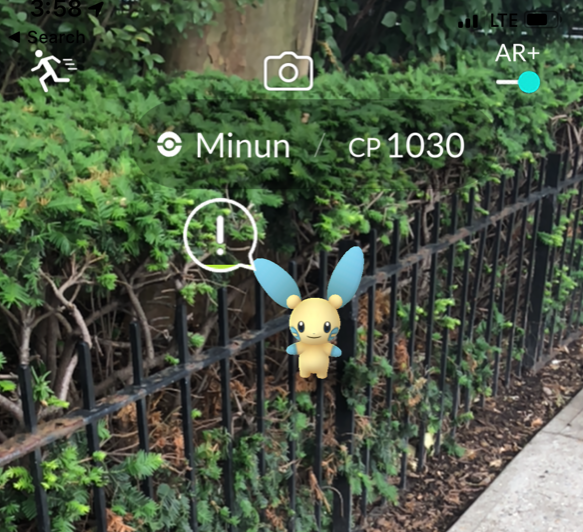 Smartphones have been able to tap into AR for quite awhile, notably through gaming apps like Pokémon Go. That game corralled a phone's camera and then placed Pokémon cartoon characters into the live space, letting you chase creatures around a neighborhood and catch them for points. While Local Guides will have first access, people will be able to eventually launch the new AR tool through Google Maps on their phone. A button, called Start AR, will appear next to directions, and pushing that will bring up an augmented view of a street where they're currently standing, said the Wall Street Journal. Users will be able to see directional arrows and even the raindrop icons Google Maps users know well to give you a heads up when you've arrived at your destination.